In 1972, there rolled off the line a special sports version of the 911, with which Porsche marketed what they were famous for: speed. 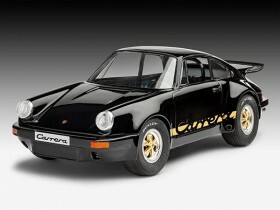 The name Carrera in various shades decorated the sides of this racer, the sporty character of which was also visually underlined by the front lip, the wide rear wheel arches and the massive rear spoiler. Its successor with the reshaped voluminous rear spoiler known as the whale tail had a larger air-cooled flat-six 3-litre engine with 200 bhp. Deliberately designed for speed, this pure road racer reached a top speed of 240 km/h and sprinted from 0 to 100 in just 6.3 seconds.